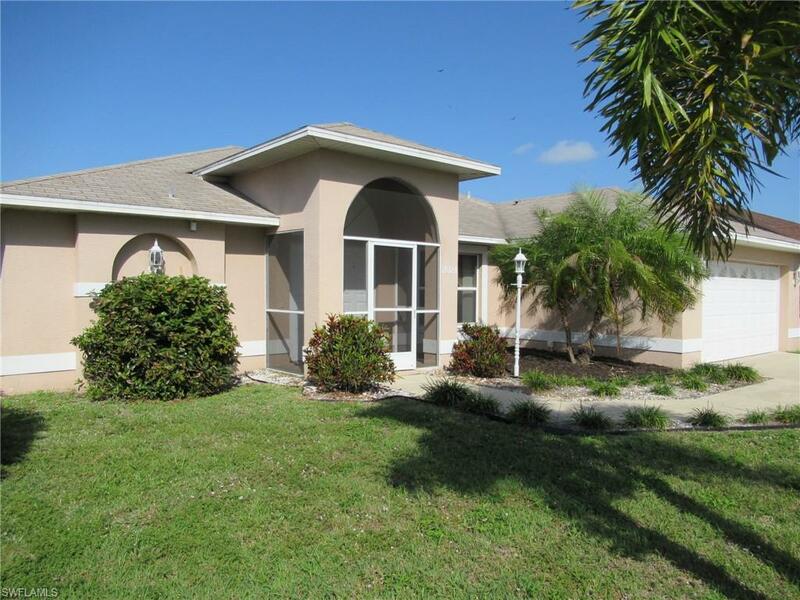 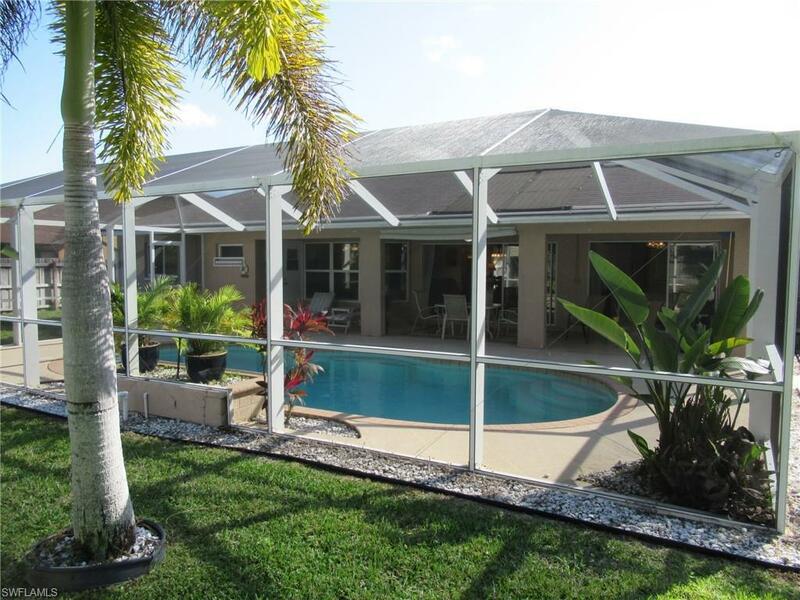 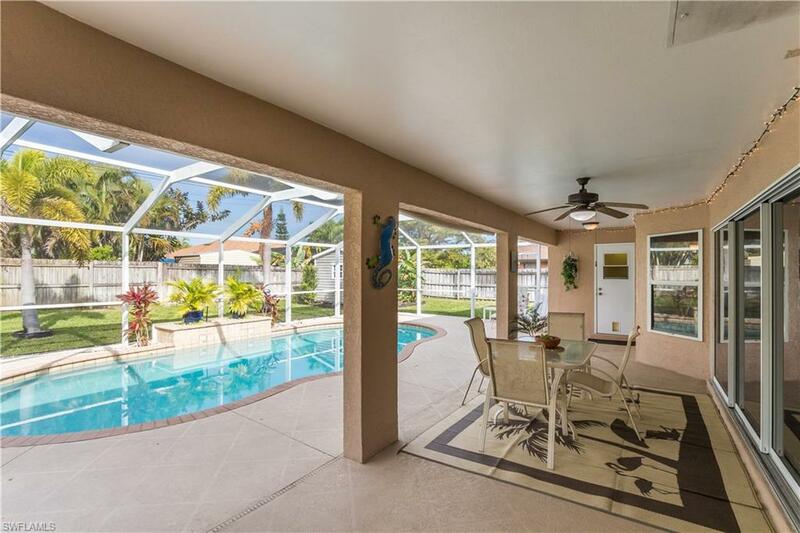 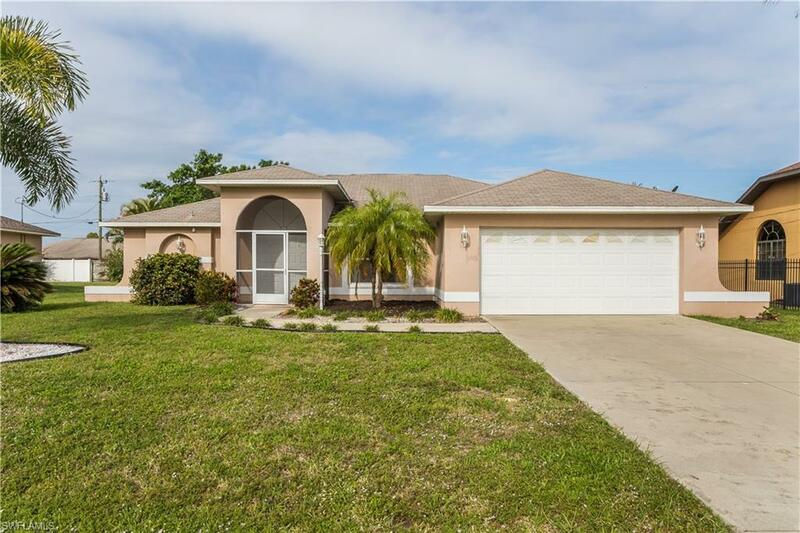 Wonderful pool home set in a desirable area of Cape Coral. 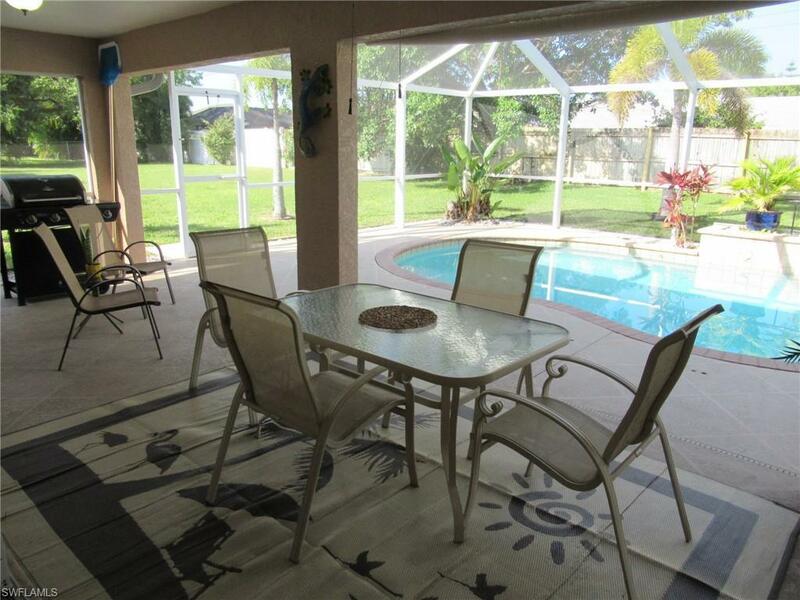 Spacious lanai that boasts a fountain in the heated pool, sitting area includes fans and lights. 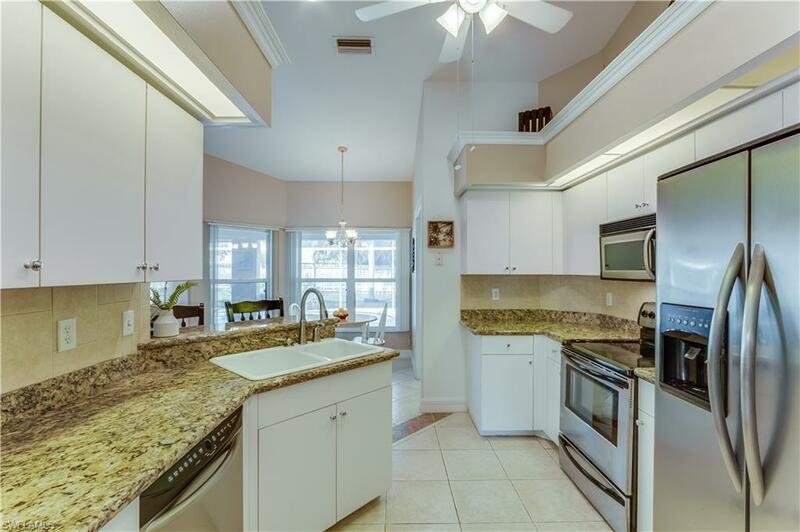 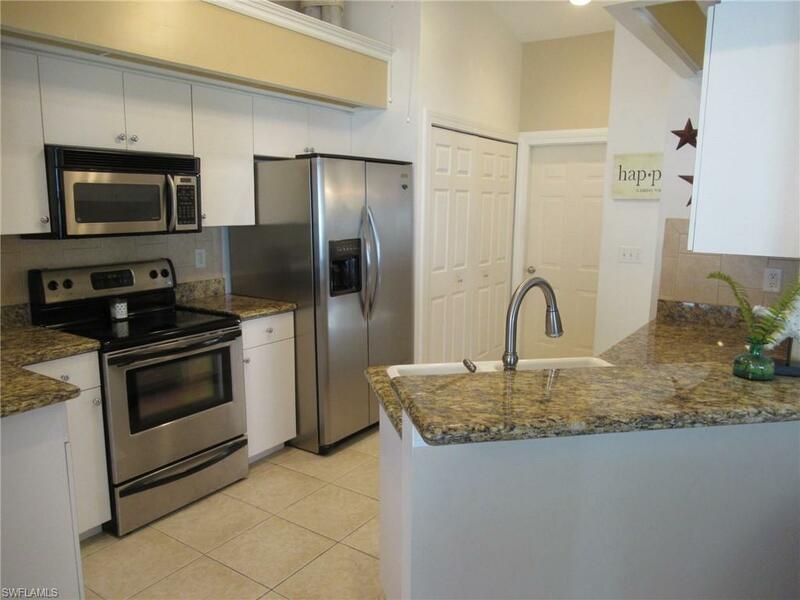 Beautiful tile throughout home, stainless steel appliances and granite countertops. 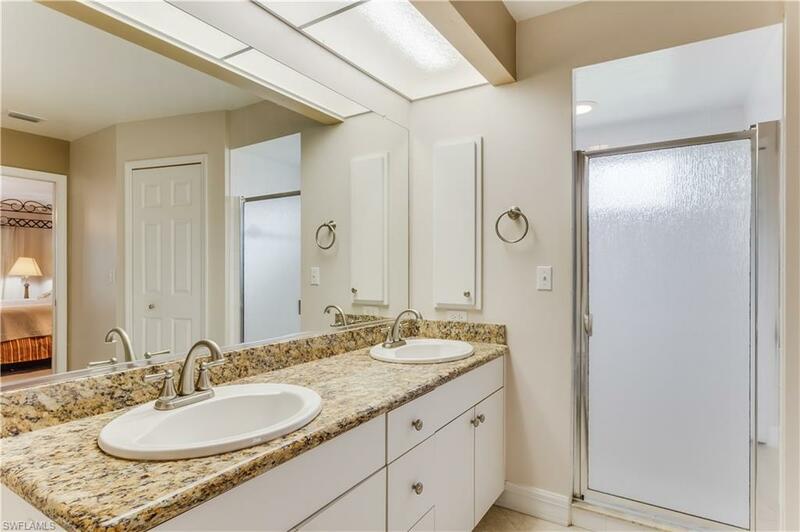 Designated laundry area off kitchen. 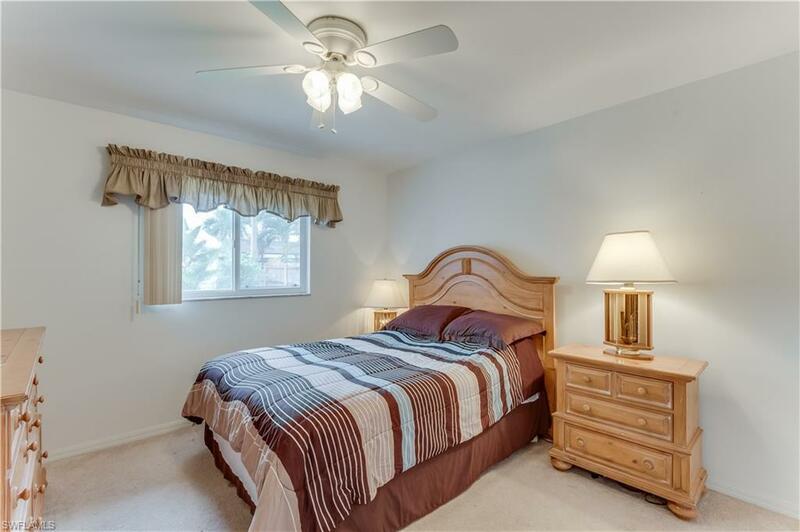 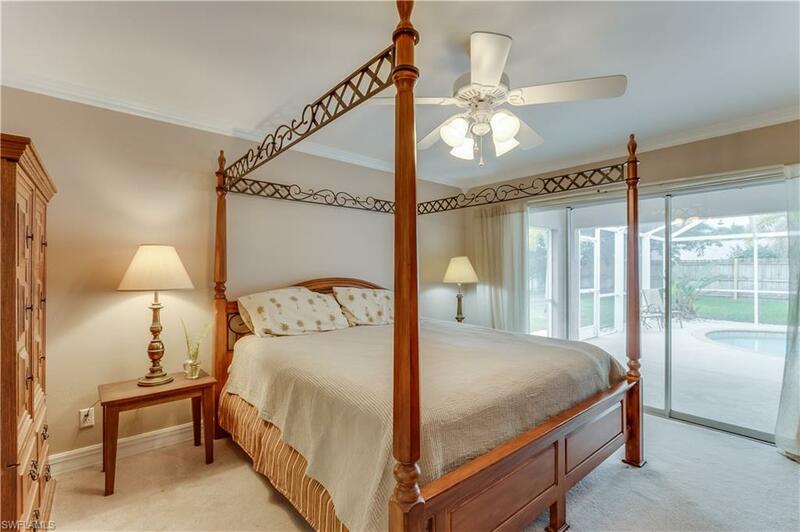 Master bedroom has direct access to lanai and two walk-in closets in master bathroom. 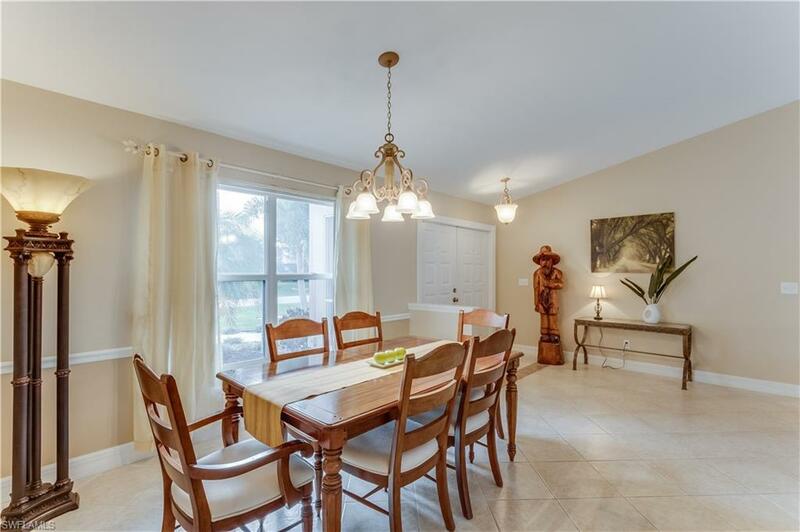 High ceilings with lots of windows provides a spacious warm ambience to the central living area. 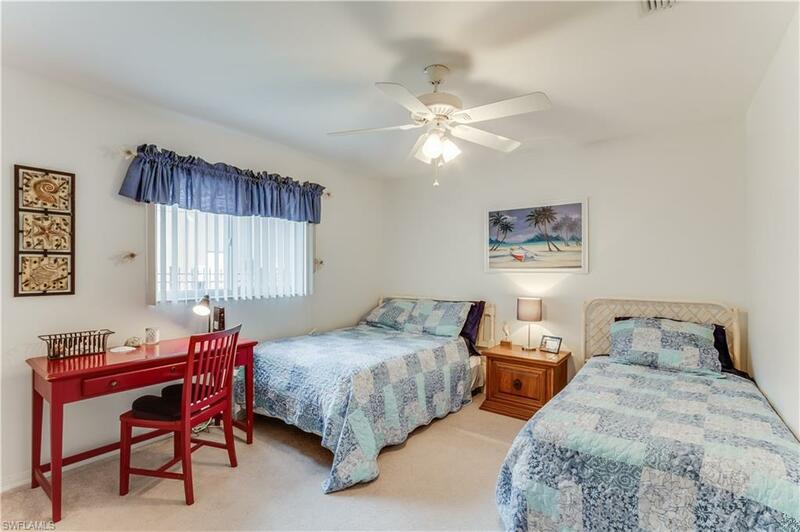 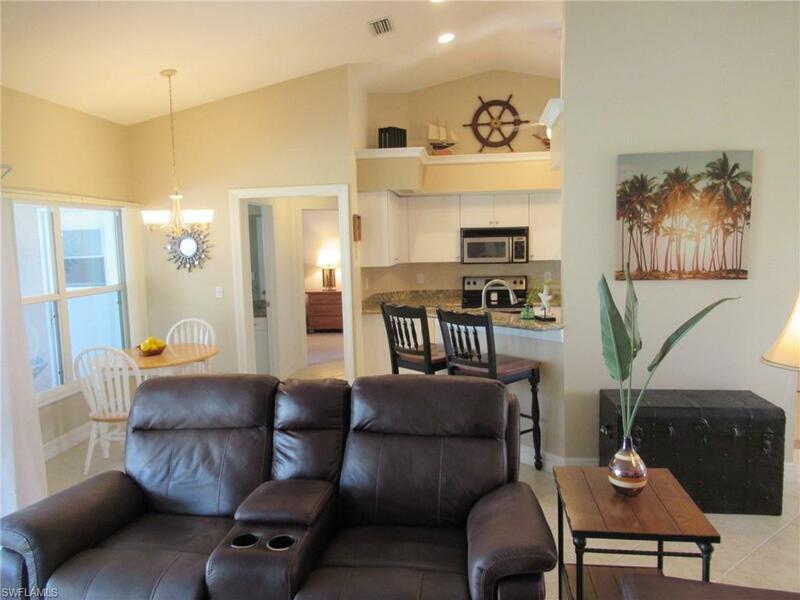 Granite countertops in both bathrooms, guest bedroom has direct access into the lanai. 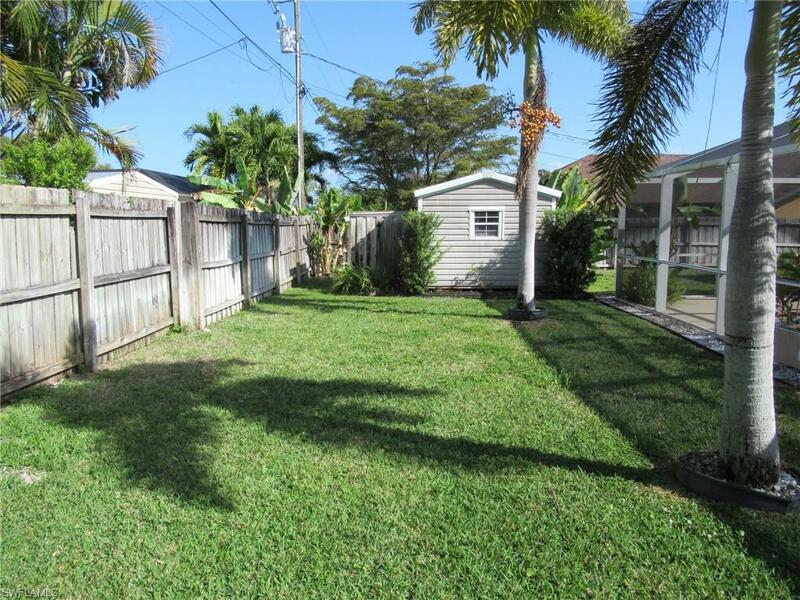 Garage is extremely tidy and property has been well cared for. 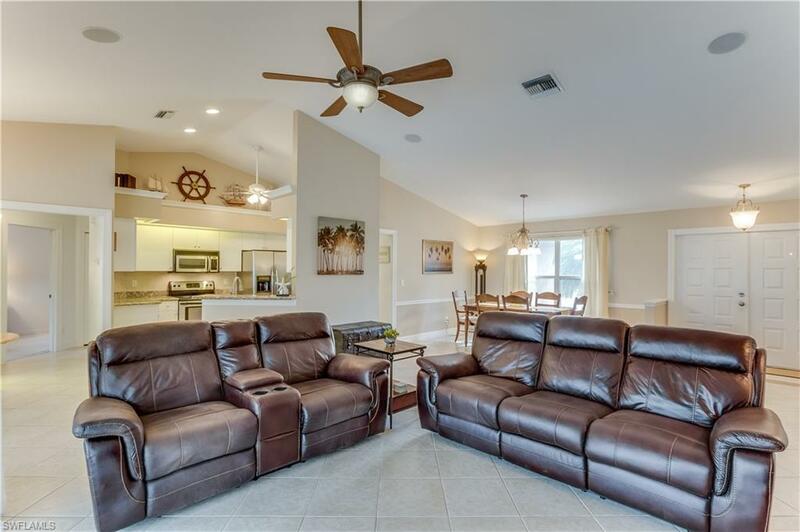 Come check out this relaxing place! 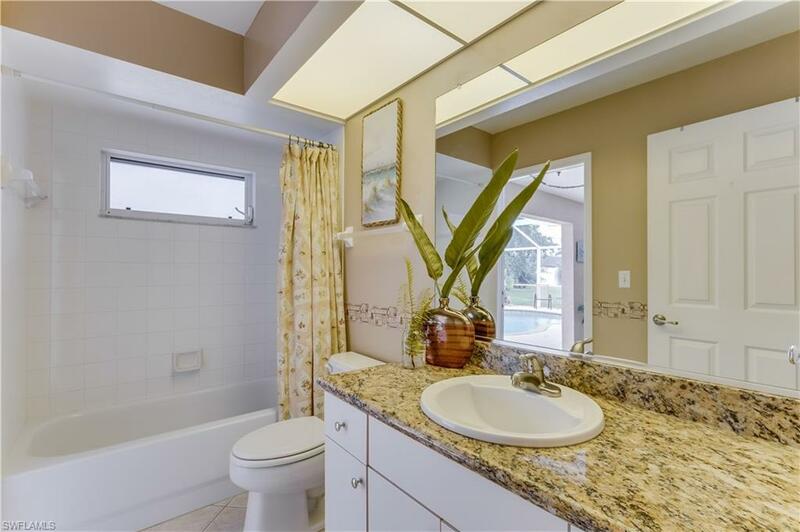 Water Heater-2014, Air Conditioner-2014, Lanai Screening-2018. 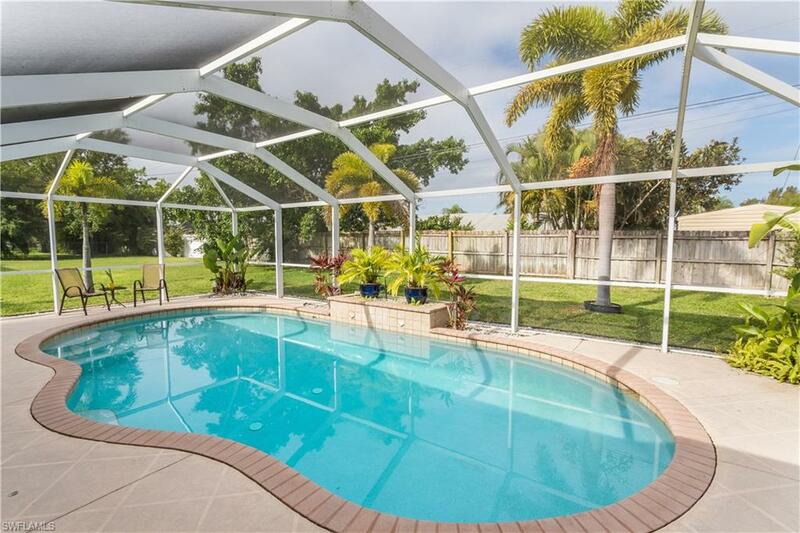 Pool safety fence in shed.